Happy mental health awareness month! To celebrate a whole month dedicated to breaking the stigma around mental health, I’ve decided to start a mini series for this month only. Welcome to ‘Mental Health Monday’. Every Monday in May, will be a post all about mental health. Today’s one is from me, and my personal experience with emetophobia, something I suffer with every day. However, there will be posts from various people, friends of mine, fellow bloggers, about their mental health experiences. I hope you enjoy this, and I hope it raises a bit more awareness for mental health and the stigma behind it. So, welcome to my personal experiences. 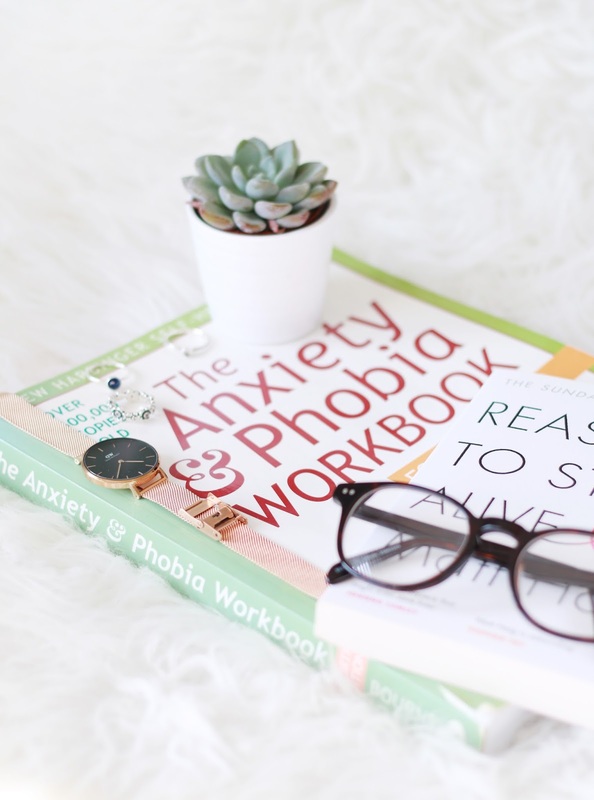 I suffer with anxiety, and a phobia of vomit (emetophobia). My first experience with the fear of sick, was when I was around five years old. My friend said she felt sick, and proceeded to throw up in my house. Even then, as a little girl I felt scared. I cried to my parents once she’d left, I was shaky, and actually showing signs of what I now know is a panic attack. As a child, of course I caught bugs and threw up several times myself. It didn’t make me any less scared though. I would always have a shaking fit before being sick, cry and shouting for my parents. I don’t want this to specifically be a history of my phobia as such, but more what its like living with the immense fear. Imagine having to check dates on all foods before you eat it, if you’re eating meat, check its thoroughly cooked, or just avoiding it all together as you don’t want to face what could happen if you do eat it. If someone you know/love has a ‘bug’, avoiding them at all costs. You don’t want to catch that. Using hand sanitiser before eating anywhere in public, in fear you’ve picked something up that might be on your hands. Or maybe its avoiding certain food groups, as you connect them with being sick, or feeling sick. These are struggles I go through day in day out. Admittedly, I used to be much worse than I am now but still, I always have those stupid thoughts at the back of my head. I won’t even take medicine a lot of the time, due to the fact sickness is a side effect. Basically, I’ll do anything in my power to avoid it. Even if I’m having a good day, happy, not anxious, these silly little thoughts of sick are lingering at the back of my mind, and they never really go away. I also suffer with panic disorder, which is linked to the emetophobia. Usually the panic attacks are caused by the emetophobia, so for example, if I feel sick or I’ve seen/heard someone be sick. Or if I’ve managed to just wind myself up to the point of panic of course. Which isn’t fun. So, its something I suffer with on a day to day basis unfortunately. I do think I’ve got better in some respects, but I definitely still suffer immensely with the phobia. Anyway, if theres anything I’ve learnt over the past few years is to not give up hope. You will get better, and you will survive. As much as I hate it, and it affects me daily, I know that I’m going to be okay overall. I use apps like ‘Calm’ to help me out when I’m feeling really bad, and also breathing techniques. Just whatever works for you! Keep positive and never give up.